It's cold. How about some pu'er to warm the cockles of the heart? Each time I read a reference to this tea, I accidentally / pathologically read "Lincang Impersonation". I also get Lincang and Lancang muddled up. Lincang is north of Simao (the prefecture / diqu by Xishuangbanna and most of the familiar mountains). 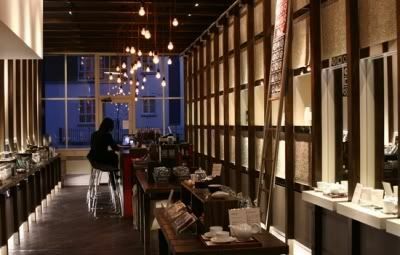 Lincang diqu contains Yongde, which is becoming a popular place to get tea. Lancang (or "Mekong", referring to its famous river by another name) is a region of Simao diqu that contains Jingmai. Chinese administration isn't easy. As far as I can tell, the "autonomous" status is granted to minorities that are granted some sort of administrative independence. This ranges from local administrative independence as enjoyed by the likes of, for example, the Xishuangbanna Dai, up to that enjoyed by Tibet/Xizang and Hong Kong. Readers are invited to make up their own minds as to the nature of such independence. Have a good look at those lovely little leaves above. They're beauties, are they not? Small, plump, slightly furry, and so lightly compressed that you can separate them with the gentlest of efforts. I don't (yet) have a cake of this, and so cannot show you the wrapper, but it is as delightfully naive and unassuming as the original 2002 Hailanghao wrapper. You know I like Hailanghao, hence this article, and the tiresome number of other articles on teas from the same producer. This one turned out a dirty orange colour (shown below). In 2005, things were a bit more rough-and-ready, a bit more crude, at Hailanghao, and that's fine by me. The aroma is excellent, consisting of sweet, food-like savoury scents. There's even hints of wildflowers in there, which makes for some pleasant complexity, before the lengxiang [cold scent] of treacle-like sweetness. Gloopy. Viscous. Thick and chunky. This tea is a texture monster. It took me a goodly number of infusions before I could place where I have had this before: it has the fruity chunkiness of purple-leaf teas from the Dehong area, which is the region next to Lincang. Bold, buxom, blustering. I like it muchly. Happily enough, it becomes really rather uncompromising in later infusions, heading into more acidic, more bitter, but also more sweet, territory. This isn't an easy tea, but it's a solid and enjoyable wrestling match, man vs. leaf. There can be only one victor, and today it was me. Fun, if you're up for a fight. 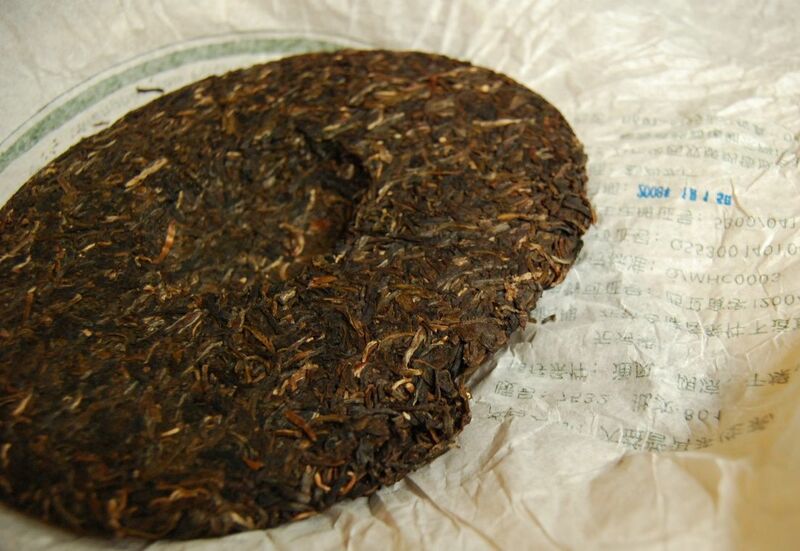 I suspect there's something about pu'er enthusiasts that makes for a bit of stubborn pugilism. I can see myself buying a few of these for light-hearted sparring in future. 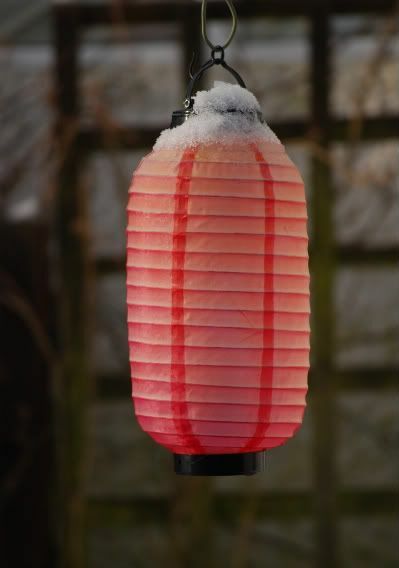 2007 Hailanghao "Jingmai Wild Arbor"
The third hexagram in the Yijing is "Sprouting" or "Gathering Support", the image of a little green sprout poking through the snow, promising renewal. 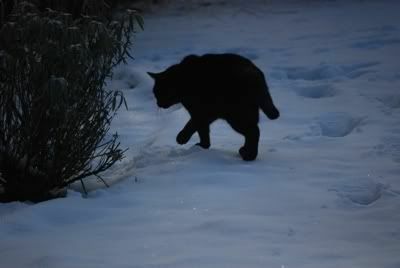 Walking the snowy garden, sweet little hexagram 3 is everywhere. Somewhere, on a distant mountain in the outback of China, my next year's tea is growing. 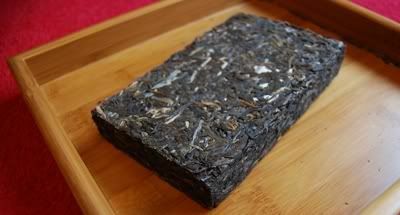 I wrote recently of a Jingmai brick produced by Mingxiangyayuan - this is its elder brother from the previous year, released under the Hailanghao brand. I suppose that one could reach Jingmai travelling south from Xiaguan to Menghai (and look forward to trying this out for myself at some point). Somewhat optimistically, the vendor description (Yunnan Sourcing) describes this as being 70% wild arbor tea, 30% plantation tea. Given the relatively low cost of this cake, and the fact that any cake being 70% wild arbor would be highly unusual, that just cannot be correct. To be frank, I'm a little surprised to be reading such claims. Keep it believable, vendors! Fragmented leaves aplenty makes examination a touch tricky. However, the aroma is exceedingly fresh, and pungently sweet. Correspondingly, the aroma cup is filled with similarly sweet and rich scents. Sometimes, this produces yellow soup (pictured below), sometimes orange. It's a bit of a shapeshifter. Some sessions, I like this tea very much; some sessions, I am underwhelmed. I come out underwhelmed more often than not. What do you do when you find a tea that doesn't thrill you all the time? 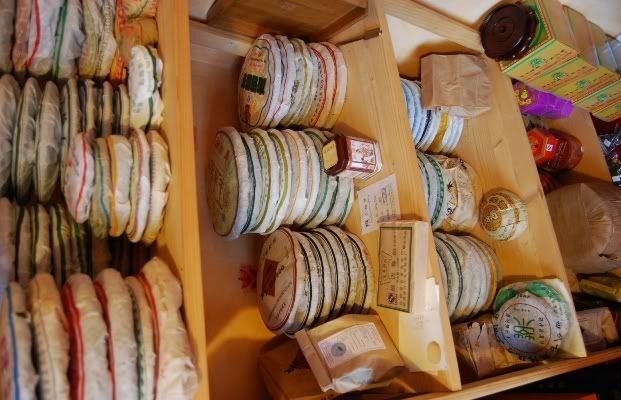 For me, the answer is to pass - shelf space and tea finances are limited resources! 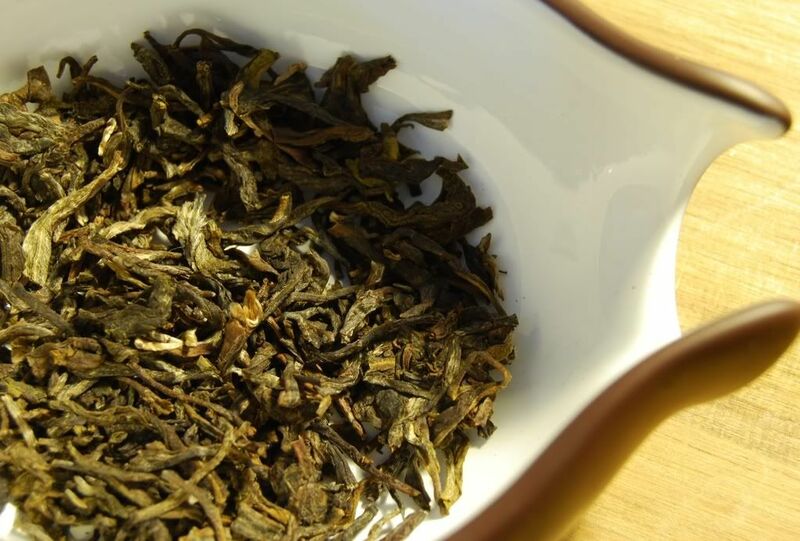 It has the savoury flavour of Jingmai leaves, with a fine, sweet finish. 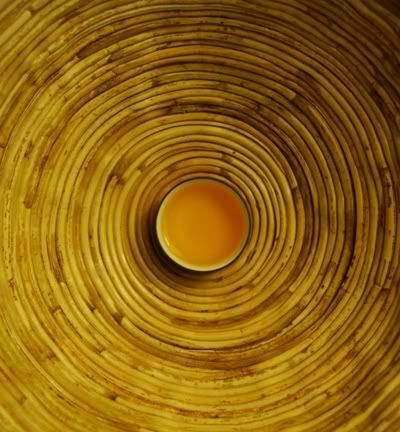 However, in this particular Jingmai tea, the savoury character flips over into the deep sweetness that I associate with throat lozenges - the little sweets one takes for a cough. This becomes more sour as the infusions progress, and puts me off. Sourness is never a good sign! I notice in the year since I bought it, the price has climbed from $28 to $39, which is quite an increment. That makes it entirely overpriced, in my opinion. I purchased this as I enjoyed its brother, the 2007 Bulang, so very much, which is perhaps more worthy of attention. Pumidors are for girls. Real men use rickety wooden shelves. Amusingly enough, the rickety shelves tipped forward the other day sending a bunch of Dayi cakes hurtling to their doom. I call it the "China Post simulator". The Hailanghao Jingmai brick is the little green-inked chap to the left of centre, above. This little 250g brick comes from a total of 900kg - fans of higher mathematics will astutely note that this means just 3600 bricks were made. It is one of 2.5 productions from Hailanghao in 2008 (including the Bulang Zhi Xing / Star of Bulang collaborative effort). Yunnan geographers will know that Jingmai is way out there in the Mekong (Lancang) county area, itself within the Simao region. Following the vendor's product description, I say that this was a Hailanghao production, but that's not strictly true. The wrapper makes no mention of Hailanghao. More accurately, for those pedants out there like me, it's a Mingxiangyayuan production (the small private company that makes the Hailanghao brand). The actual name of this brick is "Jingmai Chunyun", meaning "Jingmai Spring-Charm" (yun as in yunxiang). It's a lovely name, and a pity that it wasn't translated by the vendor. 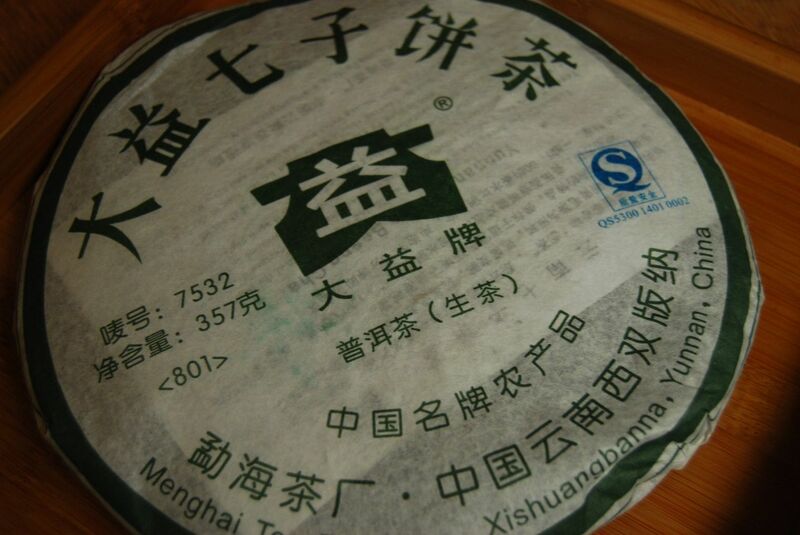 Even more lovely, the wrapper says "Menghai xian [Menghai county] Yezhuang [a village's name] shaungli [double-beauty] zhi chachang [tea factory product]". 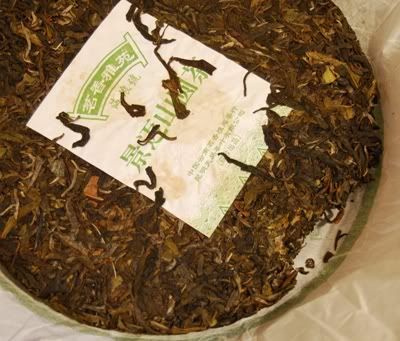 It's lovely that a little village is credited on the wrapper - Yezhuang means "leaf village". It's humble and unassuming. I would, given its humble roots, really love to love this tea. 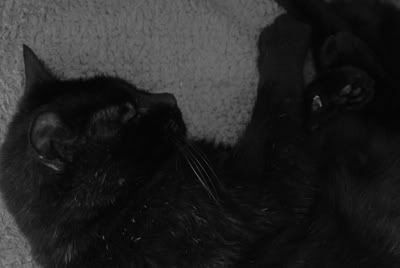 However, the quality is a bit low, and it's rather hard to be too affectionate. It has a savoury opening, with a heavy, candy lengxiang [cooling scent], and has a corresponding savoury flavour - reminding me of sweet potatoes. It seems the term de jour for Jingmai is "nutty", and I suspect that refers to this savoury character typical of the region. It's quite thin, underpowered, and really needs pushing hard. I will be satisfied with a single brick, and seem to enjoy the wrapper and the tea's "feeling" more than the actual quality of the leaf itself. The Chinese Lantern festival takes place 15 days into the (Chinese) New Year - perhaps fulfilling a similar role to what in some countries is referred to as Epiphany. The mechanics of the Lantern Festival (Yuanxiaojie) include pasting riddles onto lanterns and, unsurprisingly, eating special festival food. Chinese festivals are great excuses to eat. Though we didn't have any yuanxiao (riceballs), we did have a lovely tea generously provided by Tan, of Malaysia. Regular readers will recall that I have a soft spot for hand-selected cakes - a rather well-deserved soft spot, I like to think. If someone's gone to the labour of love required to make a cake themselves, I'm always happy with the result. 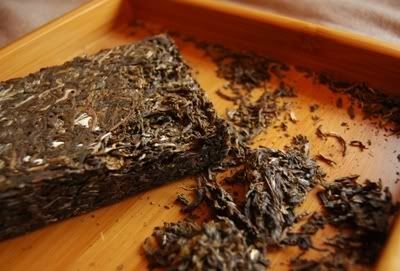 This "Mengnuo Gucha" [Mengnuo Ancient Tea] brand is the product of a Kuala Lumpur tea seller, local to Tan. This is his Bulang variety. Interestingly enough, the leaves have a brown tinge - perhaps this doesn't come out clearly in the photograph. This often means that the character of the brew will be grainy, savoury, perhaps at the expense of bitterness and "trousers". The soup, shown below, is straight yellow. As if on cue, the aroma opens with sweet grain-like scents. The aroma is strong, feeling particularly active on the tissue at the back of the nose, which I hope translates into a powerful tea. 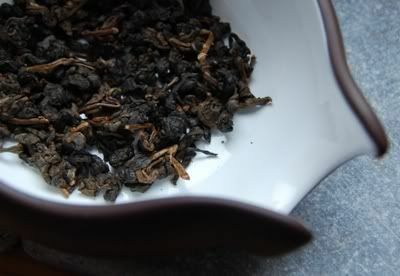 This initial aroma endures for a whole minute, before eventually folding over into a lengxiang [cooling-scent] of brown sugar. Following the trend, the flavour is sweetness and grain, combined with a really pleasing note that reminds me of old, low leather. I would have guessed Bulang: tons of chaqi, tons of vibrancy on the lips, and almost frightening levels of caffeine make this "hit like a truck", as Phyll Sheng once wrote of Bulang. It's a pleasant enough truck, though, probably filled with grain on its way to the distillery. It is a gentle enough creature in terms of bitterness, and the huigan is humble, though it leaves some delicious grain-like scents fading in the nose. Later infusions emphasise the sweetness, and it settles down into an enjoyable, stable brew. Filled with caffeine, admittedly, but stable. 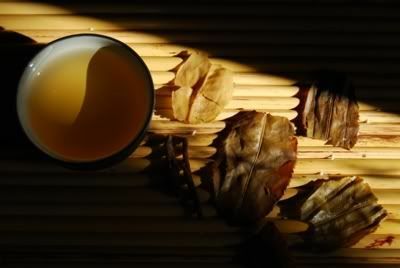 Past the fifth infusion, hongcha notes become more apparent. When we examine the wet leaves afterwards, the red character can be seen around the edges of the leaves (pictured above), which accounts for the lack of bitterness. The leaves are of a lovely quality, however, being strong and healthy. Mengnuo Gucha - I've no idea of the price, but I'm keen to try more after this pleasant introduction. Thanks again to Tan for a fine treat this Lantern festival. 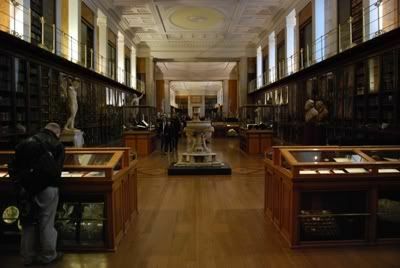 A while back, a good friend wrote to tell me that an exhibition of the Japanese tea ceremony (chanoyu) was to take place at the British Museum. 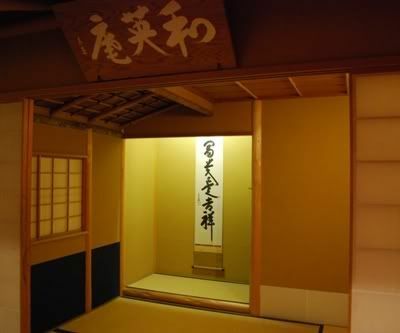 Excited, having never been to a real chanoyu, I made plans to attend. My schedule buckled under the weight of a host of unexpected meetings on the day, and I was thwarted. No trip to London. "Here's another chance!" wrote the same ever-generous friend, with details of a repeat performance. As if by magic, the meetings I had scheduled for the day all evaporated one by one, leaving me looking at a beautiful, blank square in my Google Calendar. It was meant to be! I booked a day's leave, and headed out with Lei for the capital. It's a rare thing, to see a shop based entirely on proper tea. We have "Betty's Tea-Room" in Harrogate (of Taylors of Harrogate infamy), which is an old-fashioned place selling decent tea served English-style; we have various grand hotels offering "afternoon tea"; and we have Teasmith. To my knowledge, that's it as far as real tea in England goes. Most other venues serve up below-average teas, put a romantic name on them, and, if you're lucky, sell bottom-shelf factory Yixing for excruciating prices. Not much has changed at Teasmith, with the exception that the menu of teas reads surprisingly like the Teamasters product list. No bad thing, as I happen to like Stephane's wulong. 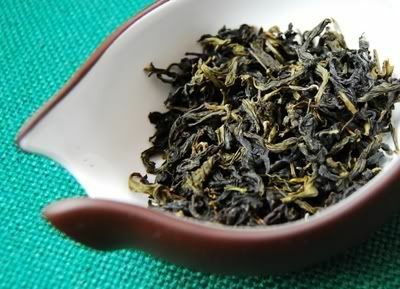 Red Taiwanese wulong, Dayuling, the same ages and grades as Stephane - even Stephane's method of naming certain teas using altitudes of mountains. Surely no coincidence! "Nice to experience, but I wouldn't pay these prices regularly", confided Lei when we were gone. However, I'm glad the shop is still going, and if prices need to be raised to keep it afloat in these troubled times then so be it. Besides, their local community consists mostly of bankers, who earn considerably more than humble junior academics, so I suspect I'm more sensitive to it than most. "I like this one - is it yancha?" "No, this is Wuyi Dark Rock." "But surely it's a Wuyi yancha - perhaps Dahongpao?" 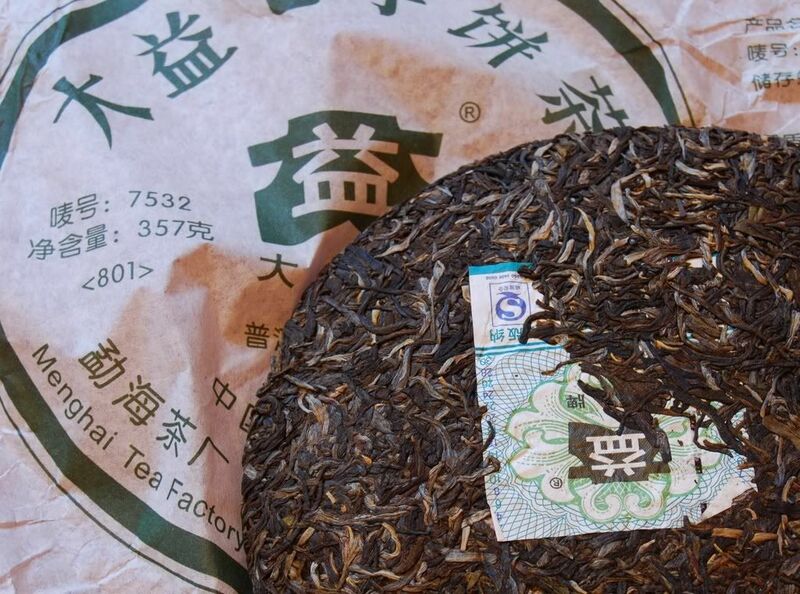 We dig out the product notes, which read, in Chinese, "Dahongpao". Difficult. Teasmith are doing a sterling job in bringing about tea awareness, but I wouldn't object if they made the naming a little more transparent, so that people are learning real tea-names. 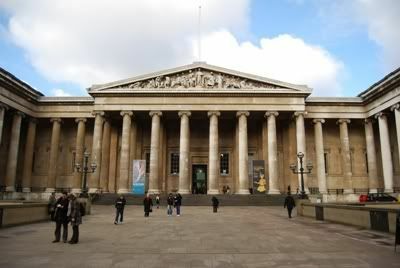 Onto the British Museum, one of the shining jewels in the darkened crown which is London. This is a museum of the old school (pictured above), and is all the better for it: tons of extraordinarily rare artifacts of the kind that you see immortalised in books and posters throughout popular culture. 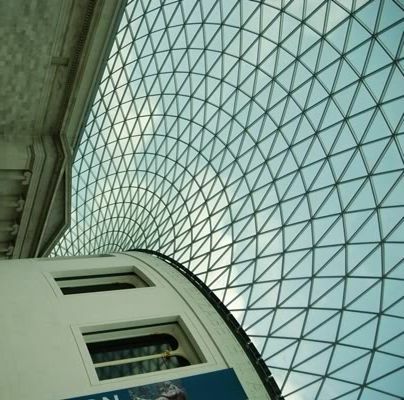 The British Museum is rather awesome. I've not been here for many years, which I realised when stepping through to the main courtyard (above), which has been transformed into something unfamiliar - but beautiful. For the year 2000, we wasted tons of national money building all sorts of architectural horrors (such as London's Millenium Dome). This courtyard testifies to the fact that some nice works were also completed. The huge courtyard has been capped in a dome, with a lovely cylindrical centre structure. Everywhere is "big" and hushed, like some vast library - yet so light and open. Head into the side-buildings, and it's back to the traditional comfort of oak panels (below). Into the Japanese Galleries, funded by the Mitsubishi Corporation - and well they did, for it's a valuable insight into Japanese life through the ages. There was even a beautiful series by Hiroshige (including the Shower over Atake Bridge - fans of Van Gogh please click the link), and the famous Kanagawa wave by Hokusai. The tea ceremony allowed no photographs, but I took a parting photo after everyone had left, shown above. It was more in the spirit of a school class than a breathtaking exercise in chadao, but the graceful motions of the host left me feeling peaceful. And resolved to drink more matcha. 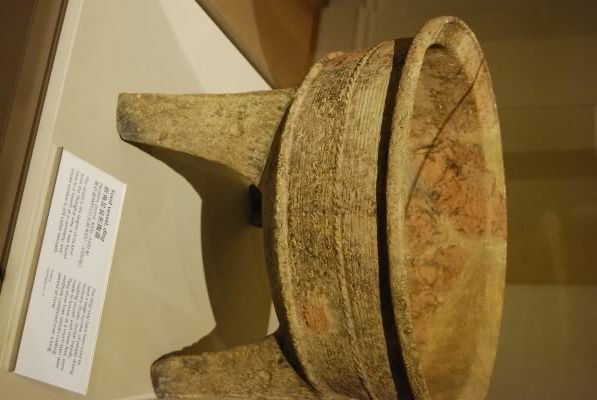 On the way out, we noticed a current exhibition of pieces borrowed from a famous Shanghai museum. 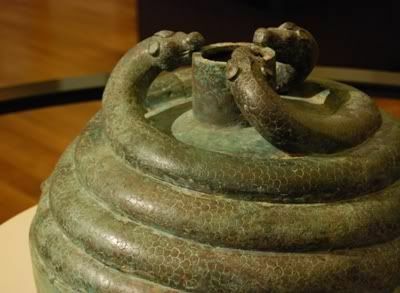 The above piece was created around 4,000 b.c. Lei likes to remind me that the British were highly uncivilised at that point, and that the Chinese were already producing fine works of sculpture. 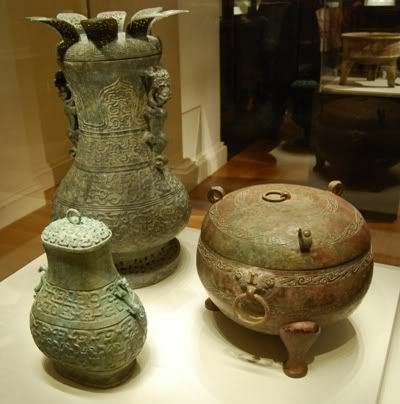 Above, some works from the Zhou Dynasty, dated a little older than the Buddha. Staggering. I have some matcha-ware coming our way from Japan as a result of this trip, so look forward to recreating a little of Uji magic in our own house. I don't think I can manage a full chanoyu ceremony, but I'm probably capable of whisking tea. How different can it be to whisking up your Blenheim Bouquet with a Simpsons? In the Menghai family, I think of 7542 as the loud-mouthed older brother, the 8582 as the elegant middle sister, and the 0622 as the fat, solid toddler with an unexpectedly deep voice. Pushing the simile further, the 7532 is the sharp, yet pleasant, elder sister. This didn't cost much, relatively speaking, weighing in at £8.20 - even though the Chinese price is but a fraction of that (painfully enough!). The leaves are tiny, as in the way that many old-fashioned teas seem to be. 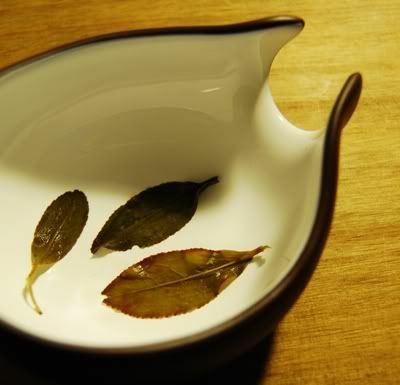 Perhaps this goes back to the lucha assumption that tiny leaves = good, which doesn't necessarily hold for pu'er - I like fat, chunky leaves to impart a fat, chunky flavour. 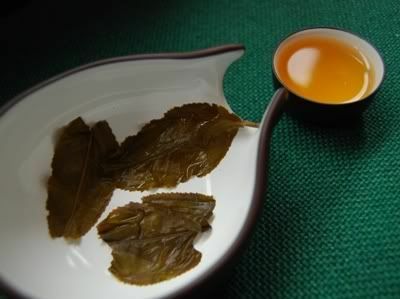 As one would expect from Menghai, the leaves are pungently, brutally, green. It's a bit of a knock-out. At the low, low Menghai price, it's certain that they're plantation leaves - but they're aggressive! 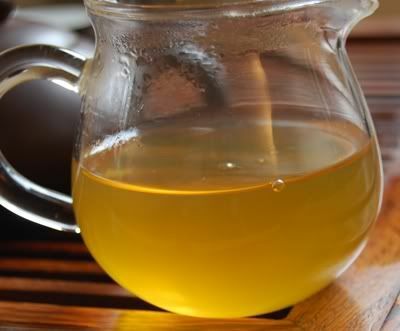 Pu'er soup doesn't come any yellower than this - highly uncompromising. 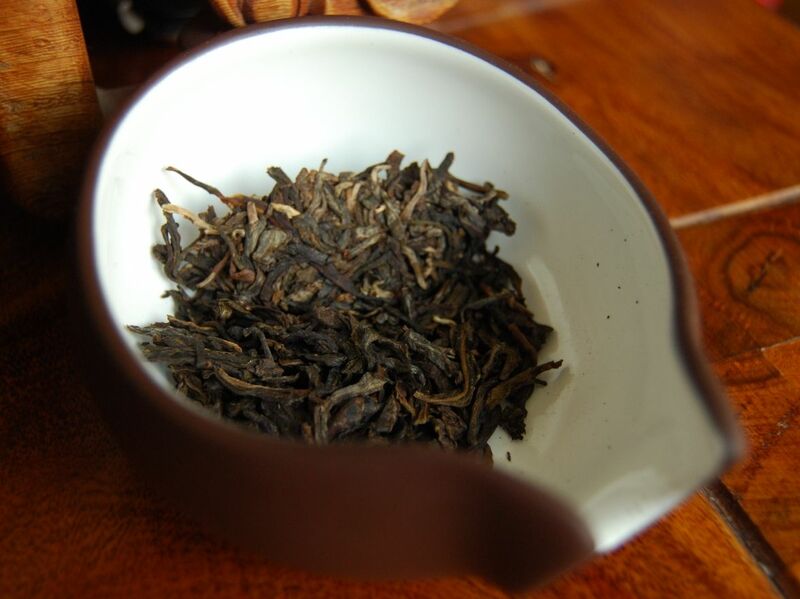 While the beidixiang [initial scent] is quiet, the lengxiang [later scent] is all strong, low sugars. This contains a lot of oomph. Oomph indeed, vibrating on the lips and tongue with all that aggressiveness of decent tea. 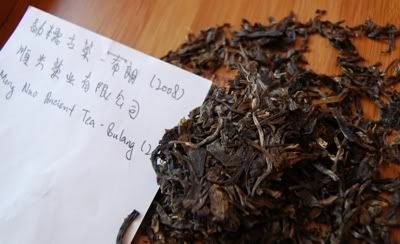 The flavour comprises that chunky sugar from the aroma combined with an undercurrent of very pleasant Menghai mushroom. It is a sharp, citrus affair. Oomphiness is evidenced yet further in the huigan, which builds like a wave and crashes into the back of the throat. Hence, the aggressive, sharp elder sister. However, she does have some delicacy and feminine charm - the tiny leaves impart a silky, tippy texture to the soup. As infusions draw on, she turns out to be rather sweet and enjoyable - despite packing a near-fatal punch in the fourth infusion. A bit of spirit isn't a bad thing! Half-Dipper: come for the tea, stay for the political incorrectness. I was going to write that she was "inexpensive and freely available" but that doesn't sound much of a compliment to a woman, so I'll leave it unsaid. While I bought more of the 7542 in 2008, I like to hedge my bets. With the low cost of the cakes in this year (approx. $10), it's not an expensive risk. As with many of the cakes that I buy for storage, it is good to get an opportunity to revisit them. 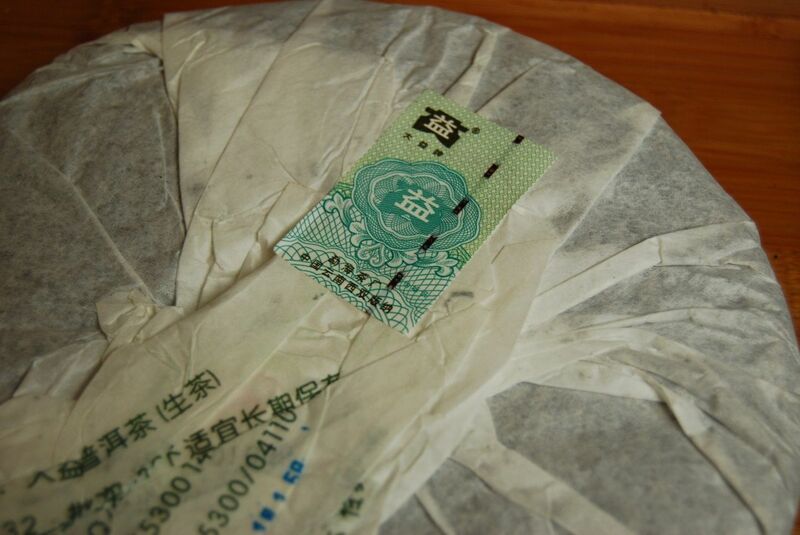 As may be seen from this cake, it is untried since Yunnan Sourcing sent it to me, five years ago. Five years on, the cake is already darkening well. The humid atmosphere in Oxford is, at least, good for bringing on the colour and related aspects of the tea. The low temperatures mean that other changes are more gradual, but I don't have a feeling that I should be hurrying. Its soup, not shown here, has changed to a husky orange. 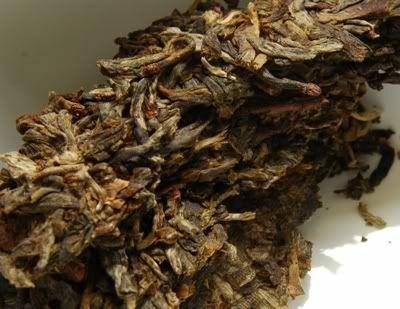 I enjoy its somewhat fruity and sweet scent, with its heavy Menghai base of traditional tobacco. Naturally, it has kuwei [good bitterness] aplenty, but it is not the brassy kuwei of youth: it is dark, low, and pleasantly sweet. It is lower, more rounded, and less sharp-around-the-edges than I remember, which is surely a good thing. I suspect (and hope) that I will prefer this tea in its state after a further five years of aging, however. So says the Book of Ecclesiastes. The Yi Jing [Book of Changes] and Kongzi [Confucius] call it "the way of heaven". Carl Jung called it "synchronicity". Zen folk might call it "mindfulness", sportsmen might call it "being in the zone". I can't repeat what traditional jazz players call it. It's that time when everything clicks, on some level. Rightness in time. Timeliness. A good tea session can be like this. That time when every brew works out perfectly, and every sip is a marvel. A good painting can be like it, when every stroke lands in just the right place, automatically. A good haiku can be like it, when every phrase comes out unbidden, sitting perfectly on the page, just right. We've had lots of snow recently. You know me - I like to take photos of pretty scenes. 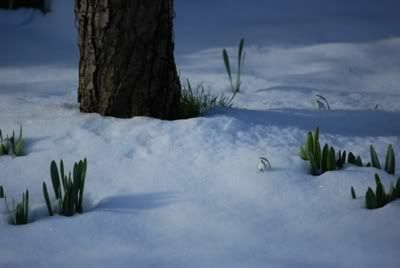 The snow fell particularly heavily, and the weather forecast said that it'd all be gone soon. I was running out of time - I had to get some shots before it all melted. However, my schedule was full, from start to finish. Wolfing down breakfast, I headed out into the garden with my camera. I felt the pressure of imminent meetings, and all of the responsibility that they have associated with them. I felt heavy, rushed. 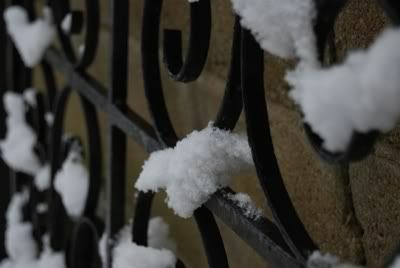 Despite that, I was determined to photograph some of the winter - snow is quite a rarity in England, and it was the first winter in our new house, so I wanted to have at least a few photos by which to remember it. Everything I photographed turned out poorly: bad composition, flat subjects, no interest. 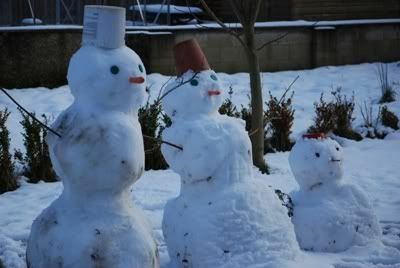 Of the many photographs that I took, all were deleted, excepting the mundane but amusing shot of our neighbours' charming German snowmen (above). 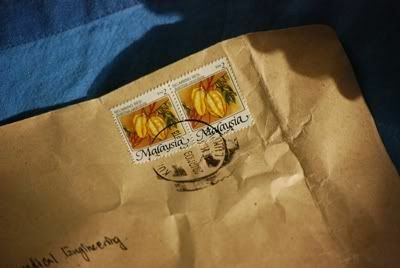 I headed off to my first commitment of the day feeling as if something had slipped past, something that I couldn't grab. 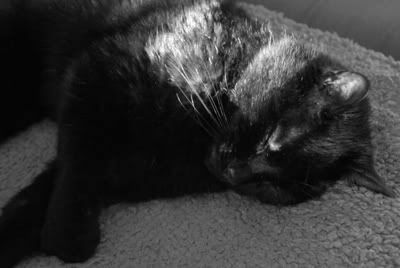 A busy day passed, then a good night's sleep. Waking the next day, fantastically enough, the snow had remained despite the predictions of the weathermen. With an empty schedule, I strolled out into the garden with my camera, and no expectations. I walked out to the far end, past the vegetable patches constructed by the house's previous owner that we have not yet replanted, and took in some fresh air. I looked around, searching for nothing in particular, content just to be in the garden with nothing to do. Every little aspect of the quiet far end of the garden seemed magical and significant, in its own way. Various Zen sayings came to mind, which I let pass without noting. I took photograph after photograph of magic - little treasures, one after another, everywhere I looked. Old bottles in the greenhouse, sheltering under a glass ceiling heavy with snow. Beads of water dripping off a shed roof. 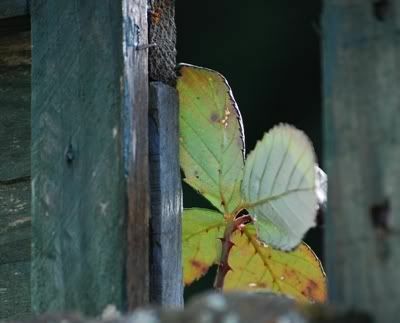 A leaf seen from behind, glimpsed through a gap in the fence. I eventually returned to the house, empty and light, a camera filled with inspiration. Which tea should I brew? My hands ran over a sample kindly provided by Nada - a 2008 spring Baozhong, picked by the farmer in accordance with times and dates determined by the Daoist astrological almanac. Sharing those buttery brews with Lei, sharing scents of a Chinese spring revived before us, I thought of the famous passage from Ecclesiastes, quoted at the opening to this article. I've learned not to force it if it's wrong. Some days, you just get it right. 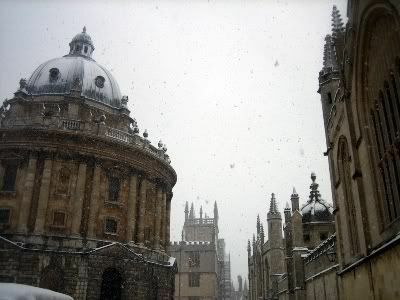 Another cold snap, some snowfall, and suddenly England has come to halt. The slightest deviation from mildness in either hot or cold direction typically results in extreme effects on society. 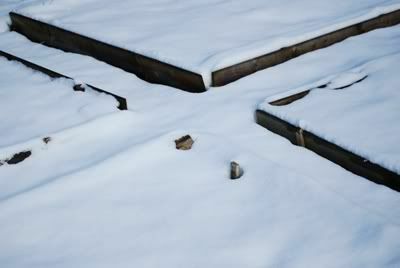 With the snow, all manner of halted trains, closed schools, and so on. You wouldn't believe our ancestors were Angles and Jutes. With the cold weather, some aptly-named Dongding [frozen summit]. This type of tea just happens to be the first "real" Chinese tea that I ever had. Visiting China on a conference some years ago, Lei and I sat at a tea-merchant's table, trying a Dongding. It was unlike anything else I'd ever tried, being raised on Darjeelings, Assam, Nilgiri, and Ceylon, like most other English. I'd had Twinings "Oolong" and "Gunpowder" before, but those flavourless green husks bore little resemblance to the delights that the tea vendor served up. 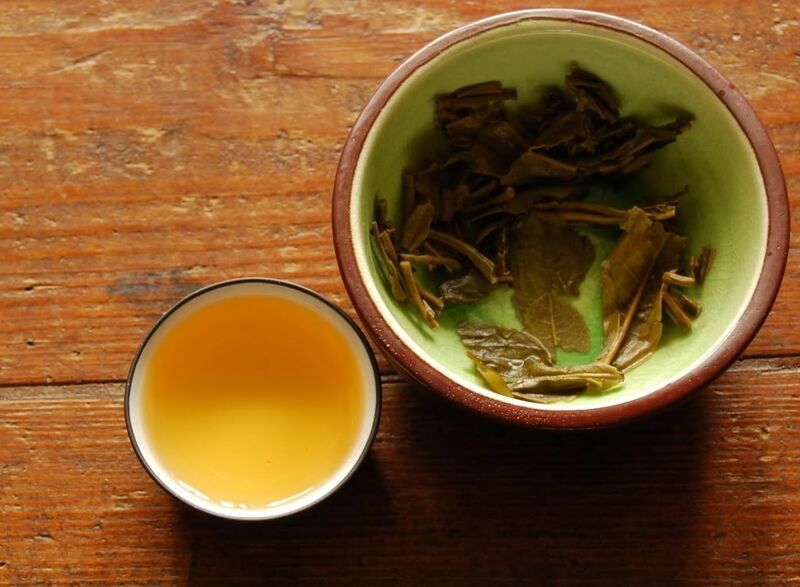 Dongding was my first step, and I clearly remember the fragrance and flavour of that tea session, many years later, as if it were just last week. This particular Dongding was picked over 20 years prior to that first encounter with Dongding, and is more traditional, being more significant in roast. It was bought in Taiwan, but I know not where nor at what price. 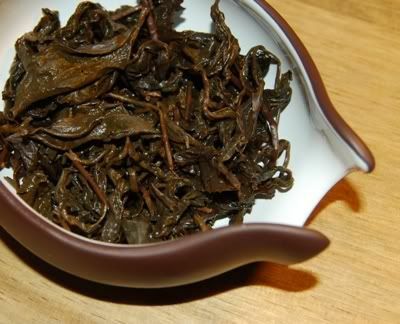 Aged wulong is a pleasant thing, and feels entirely neutral on the stomach. 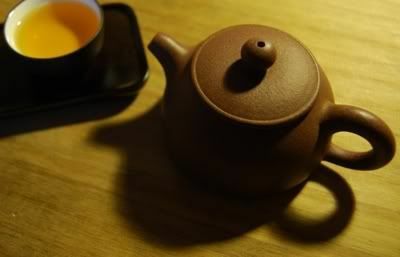 My diet in tea usually consists of two parts hongcha (which is quite warm on the stomach) to one part shengpu (old and new, being warm and cold, respectively) to one part shupu (very warm on the stomach). This old fellow was dominated by its roast, and it must have been through a lot of them. It held nicely in the throat, with a solid, sweet presence that Lei and I both enjoyed. 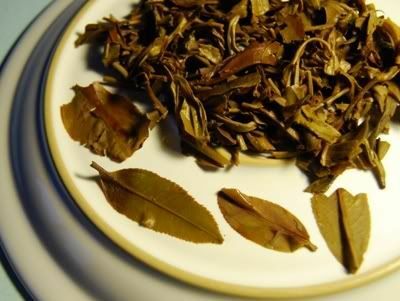 It needed a lot of leaves, and long infusions, to get solid character and chaqi out of the leaves, and we were soon brewing for many minutes. What chaqi exists was soothing, friendly, quite charming, and not one to over-analyse. 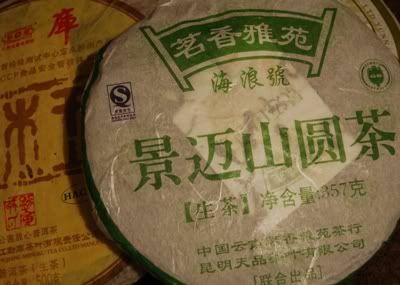 That old Dongding butteriness took me back to that first encounter in China once more, and all was well in the world. That strikes me as a good tea session.